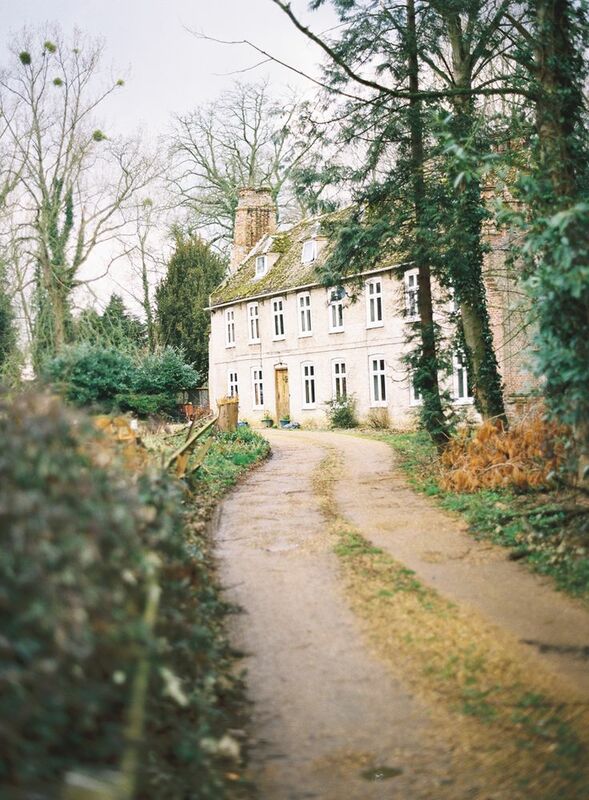 I have always had a love for beautiful houses, and some of my favorite posts on my blog have been about the houses that have caught my eye: French style houses, more French style houses, Tudor and English style houses, magazine houses, houses on tour, houses for sale. I truly love houses of all types and appreciate so many different kinds of architecture. When I first started using Pinterest, I created a group of boards that largely reflected the folders I used to keep on Flickr or the hard drive of my computer. Architecture was one of the first boards I created, and it has become a bit of a catch all for both architectural features that catch my eye, as well as house exteriors that I admire. Pinned just four days ago, this is already top ranked in my Architecture Pinterest boards! I love a picture that shows an open door – it gives a glimpse of what’s inside, and is so welcoming. As far as the house itself, it looks like a classic 5/4 and a door, with beautiful details such as an elaborate sidelights and transom, a portico with a detailed curved barrel roof, with a thermal bluestone floor. It’s easy to understand why this has such appeal. Image via Scavullo Design Interiors. A am a big fan of a classic French style house, and especially appreciate when the back of a house is as beautiful as the front. The U shape layout of this house creates a charming courtyard, and the landscaping is superb (this image came from Alex Smith Garden Design). 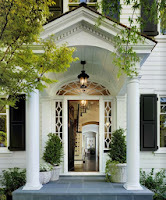 I like the boxwoods around the base of the house, the white roses surrounding the doors, the two trees that emphasize the symmetry of the architecture. Clean lined and classic, this picture was noted as Tempo da Delicadeza. I particularly like the design of the door, with its central knob and round door knockers. 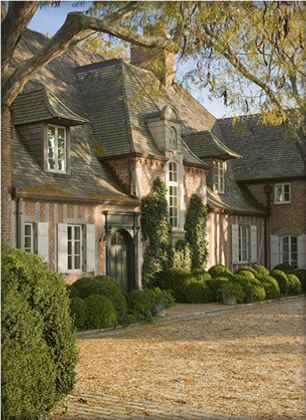 This Country French Renovation is from Eric J. Smith Architect. It caught my eye a few weeks ago and was immediately one of the top pinned houses on my Pinterest board. It has such incredible charm and style. I love a good door picture, and this one is a favorite. 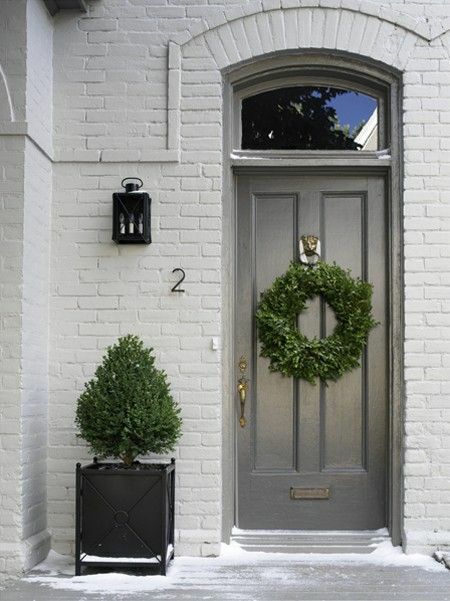 I like the combination of white painted brick and a perfect-shade-of-gray door. Via Greige Design. 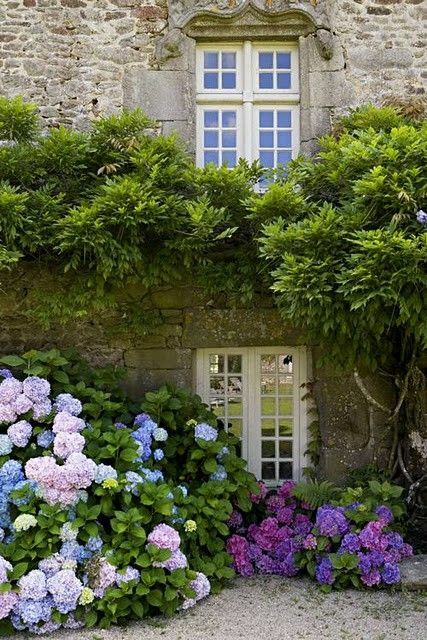 I’m not sure if I pinned this for the blooming hydrangea, or the crusty stone house, or the beautiful style of the window above, but all of these combined make for an appealing photo. 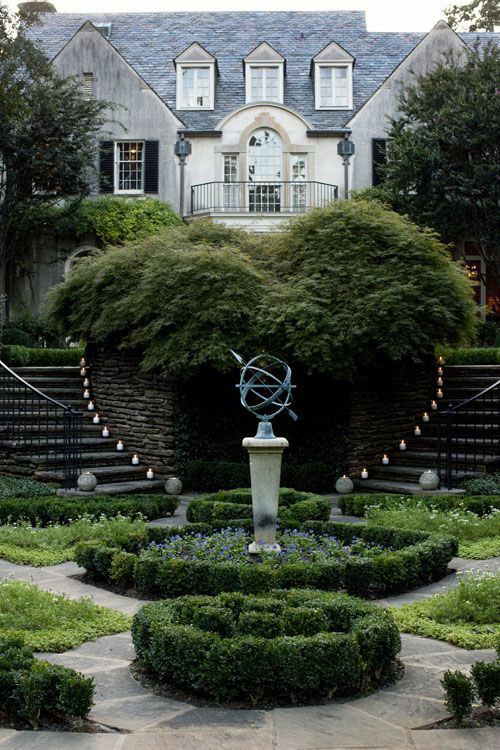 One of my all time favorite houses, located in Dallas. 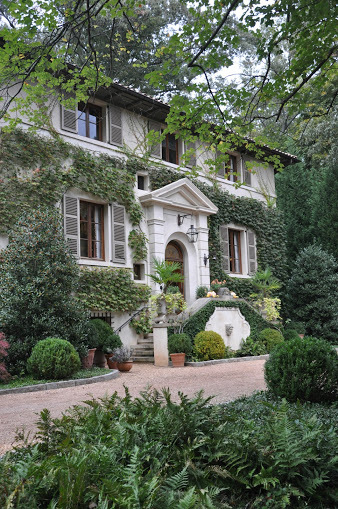 I always love a symmetrical French style house, and clearly many of you do too. There are so many beautiful architectural details on this house. I particularly like the scale of the dormers on the roof, the style of the front door, and the delicate iron balcony above it. This house was on the market last year and all sorts of new photos were pinned on Pinterest. This is noted as the original DuPont family home. The classic Georgian architecture has timeless appeal. A simple French stucco cottage has a lot of fans. This house, which belongs to Veranda contributing editor and author Danielle Rollins, all set up for an evening dinner party. Landscape design by John Howard. The back of this Shutze designed house is as beautiful as the front of the house, which is typical of Shutze designed houses. Image via Luxecrush. Another off white painted brick with light with gray shutters, via Ferguson Shamamian. This image was simply noted as ‘beautiful view’, and the design of the walk through caught my eye. A picture of architect Norman Askins’ villa (blog post here), taken at an ICAA SE event at his house. I was thrilled to get the opportunity to see the inside, as I had admired the exterior for so many years. A house in England. I made this house the cover picture on my architecture Pinterest board, as I love the composition of the photo and the style of the house. 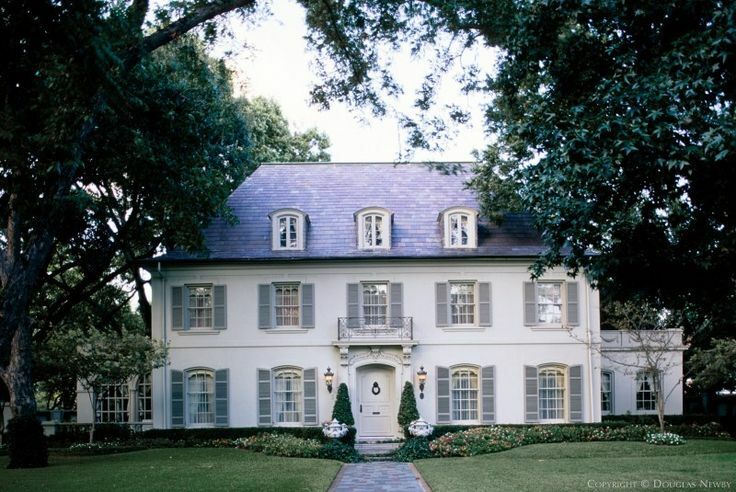 By far the most pinned, a French renovation in Atlanta (blog post here). This house was recently on the market, and it is as charming inside as it is outside. Architecture by Stan Dixon. 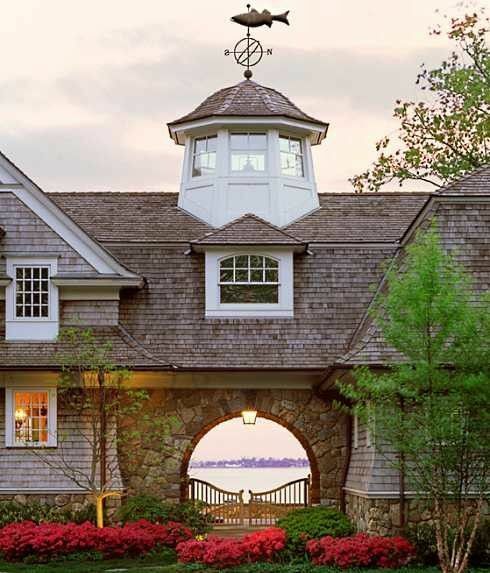 Do you have a favorite among these fifteen houses? 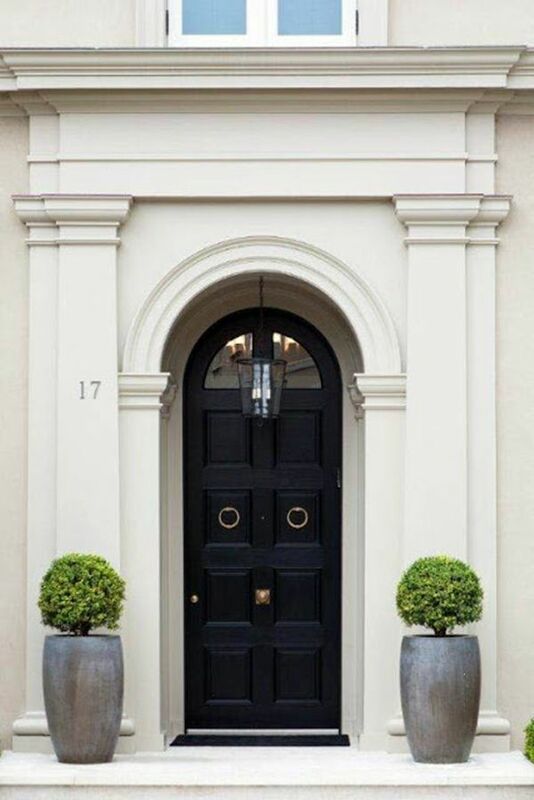 I’ll keep on pinning architectural features and houses on Pinterst, so be sure to follow my Pinterest boards for more inspiration. Have a great weekend! 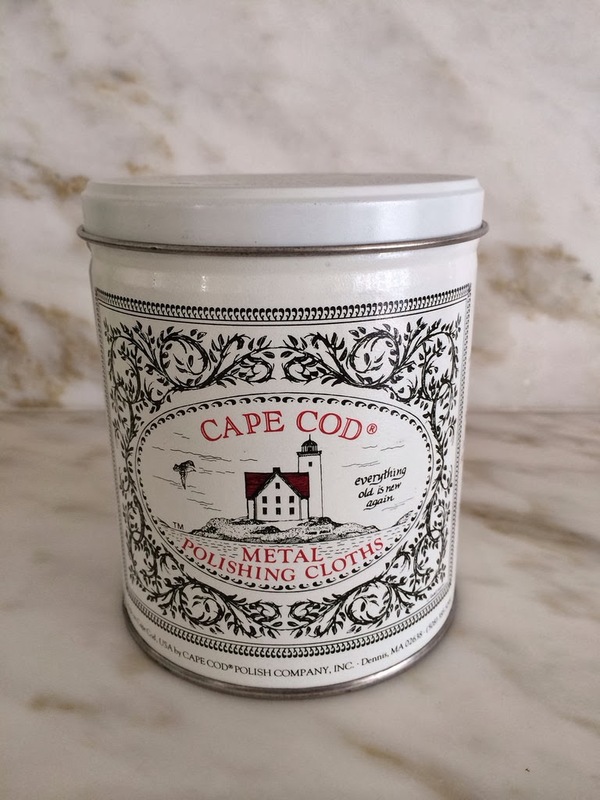 Cape Cod Metal Polishing Cloths - work on just about any metal. I use them on my polished nickel (they get all water spots out) and my silver. Click here to see on Amazon. 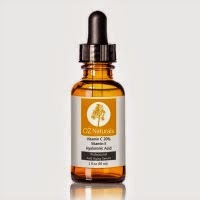 Oz Naturals Vitamin C Serum, the #1 beauty product on Amazon. Click here to see on Amazon. 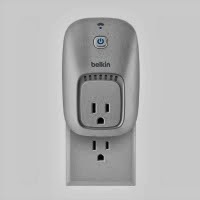 Control any outlet with your ipad or smartphone, I have these all over the house! Click here to see on Amazon. Holly, that is one gorgeous porch! I think it may be from here: Scavullo Design Interiors here: http://scavullodesign.com/project/palo-alto-dutch-colonial-revival/ It's the first picture that rotates through their slide show. Beautiful home...love the built-ins in the bedroom. Great post...love all these homes! Great post. Beautiful houses! You do such a wonderful job always!!! So beautiful! Love the post.....and all the eye candy:) French and English is my most favorite style and there are so many beautiful homes shown here. The one you referred to as your all time favorite is one of mine too...stately! Lovely images. Thank you for putting them together for us. These are all dream worthy. I can't decide which one I like best!